Wanna Win Some Steemmonsters Alpha Packs? Go Curate! Thank you to @crystalhuman for the awesome recommendation!! 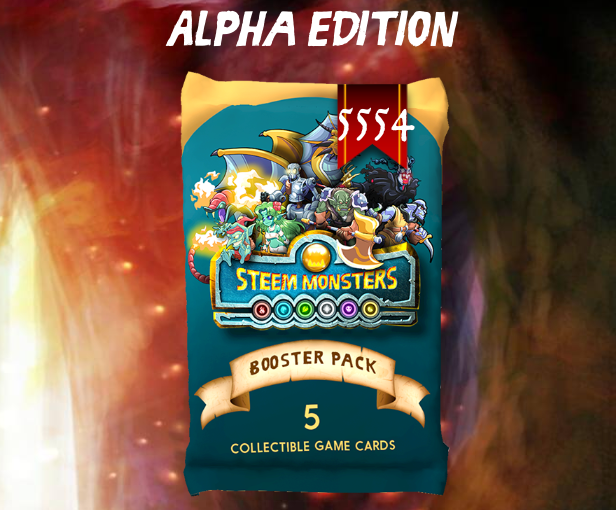 Your Steemmonsters Alpha packs will be sent to you shortly!! Go curate a great post that you find interesting, any topic is fine, and drop the post link here in the comments. The team from @c-squared will be reviewing and voting those that fit their criteria with their trail, and I will choose the winner! 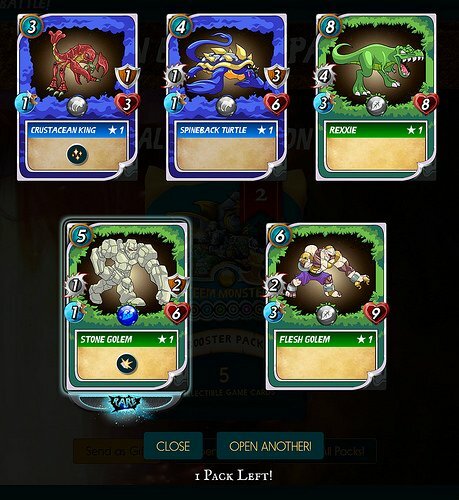 Both the author of the winning post AND the curator who provided the link in the comments below will receive 2 Steemmonsters ALPHA packs!! Get Curating and Good Luck!! Join The C-Squared Discord channel and support quality content! Thank you everyone for participating and for more importantly, curating!! Contest is now closed and all entries after this point will not be considered. Thank you Justine and Bernie for the awesome community work here! It closed 22-hours after this post was posted? WFT? No enough time. Hey @luzcypher, that was actually on my request. I was manually reviewing and voting all posts, which I lost count but was a lot. Today my area is scheduled to have the power lines worked on so I will not have internet. I wanted to stop entries so I could review and vote the remaining entries before losing internet entirely. I asked Bernie if I could do so, then he could review, pick his favorite and announce winners in a timely manner. He agreed and that is why I posted this comment. I’m sorry it wasn’t as much time and many I’m sure would have liked, but this was all just sort of a idea of Bernie’s that we ran with. Maybe it’s something we can do in the future again (with more help to manually curate each one) and do it a bit better. Due to the time demands on curating 30/40 posts, I can see why a time limit was put in place. I once ran a one hour contest with no notice and it worked pretty well! The good thing is that I think the 'contest' was a positive thing, and there certainly seems like scope for more of the same. Perhaps the community could focus on a tag like #openmic next time? I think a couple of things would be done slightly differently, but for the most part (as you can tell from the comments) this was a solid community building effort. Have a good day in the sunshine, not jealous at all! It's a great idea and I wanted to curate. Just wish I had seen it earlier. Did get to read some good posts here though. Keep up the good work. Ah damn it, I had this post opened in my screen yesterday, but didn't get to it, and now it's closed.. but I totally understand .. just too bad for me :) Thanks for the hard work @llfarms and @berniesanders for hosting this contest! Hopefully there are more to come ..
Wow got some nice cards in the Alpha packs I think 😎. Not that good with the monsters yet! Terrific idea! The C-squared team is doing a great job and I was impressed enough to delegate some SP to that project. This looks like a useful activity for people. This @steemfest 3 ReCap from @louis88 was pretty epic! Thank you on behalf of @c-squared! i had the same nice Post in my mind, you are too fast or we both had the same Idea with the same mind behind to curate the post. Here's a great post out of South Africa of @braaiboy promoting STEEM by selling food from his "Braai" (South African for Barbecue) stall for STEEM at well above market rates. He definitely deserves a boost on this post! Way cool @bmj... thanks for thinking of me. My Alpha deck is a little slim... those extra boosters would give it a nice little push... let's hold thumbs. All good. I like what you're doing there. Hopefully you'll get some more people buying STEEM, even if it is just to buy wors rolls. It's a great way to introduce the to crypto. Good one Bernie! Thanks for promoting curation. Thank you, whatta surprise. I really appreciate this, @cadawg. Thanks for the good thoughts and for the support of my initiatives. All the best to you. Not a problem. Have a nice day. Thanks for the contest! Let's share some love! Thank you on behalf of c-squared! I thought this was pretty funny. Lot's of effort always goes into this guy's posts and I think he deserves to be curated. Thanks mate, the nomination is greatly appreciated. One thing that struck me this week was the beginning of @wholeself-in's Steem-teaching dojo @steemitblackbelt. Looking forward to this project. One of my favorite steemians @janton always writing fun history stories. Check out this story about Pearl Star. Howdy llfarms! Thank you for everything you and c-squared do to help so many of us. God bless you! Well Howdy again sir hhayweaver! Thank you so much for the mention and nomination! Here is someone writing about hobby and passion, anime, the forgotten treasures of 2017! PS: You have over 5000 packs?!?!?!?!?! this is awesome Bernie... thank you for lifting everyone's spirits like this! nice.. perhaps STEEM will get back to it's roots. Oh who are we kidding. Thanks for doing this Bernie. Let's "Make Curation Great Again"
Your UA account score is currently 7.155 which ranks you at #74 across all Steem accounts. In our last Algorithmic Curation Round, consisting of 275 contributions, your post is ranked at #1. Congratulations! Here is a quality new Steemian. Thoughtful, and writes well. The sort we ought to encourage! I'm already nominated as a writer, but I'd love to fill out my alpha packs. 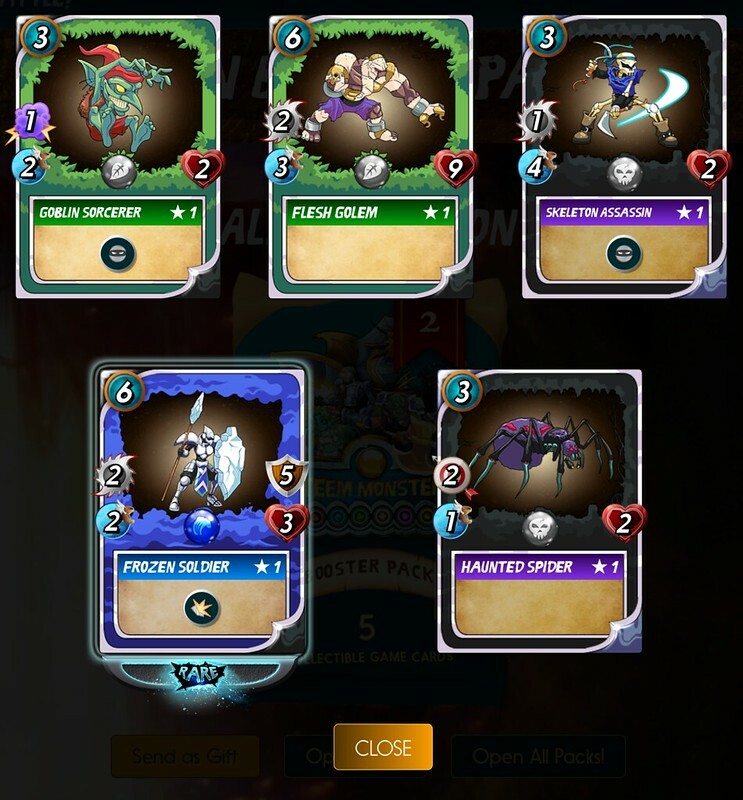 I've been selling off the betas to level up the one true deck. Here is one that has all sorts of good information and links to other post that educate newer Steemians on such things like @dustsweeper and @steembasicincome among sharing other great info that will help a newbie enjoy the Steem platform. Thank you for choosing my post in this competition ! Wow, this is awesome! Thank you @pechichemena for recommending my post! Thanks to @berniesanders for this great initiative. Thanks to @c-squared for a wonderful job. And thanks to @llfarms who is doing the hard work! https://steemit.com/sweet/@sra.antropofagia/caramelo-blanco-white-candy-sesion-de-fotos-photoshoot This is my entry :) Thanks. This is awesome @berniesanders. Thank you and @c-squared team for doing this. Best of luck to everybody. Somebody will be really happy at the end of this contest. This lady is a fantastic artist and writes great posts to accompany them. She could do with some c squared love!! And thank you for the amazing work you are doing! Thanks for doing this and great job with c-squared! I've heard many good things! Hah. Leave it to bernie to actually do something on this damn site. Good one. Here's my entry matey~! & thank you for this epic giveaway! I hope this one fits the criteria! Great!!! well, i found this lemon cookies recipe. Tell me what you guys think! https://steemit.com/fiction/@dreemsteem/8s9ql0fn its is my entry! I've always wanted to see a stronger fiction presence on this site, so I will put forth this short story by @byn. We are looking for you to curate someone else’s post. Hello !! I nominate this post ..
@hatu made a nice post. Hey there, this one was already entered. If you have another one in mind you and respond to this comment with the link. I think this promotion is very good. 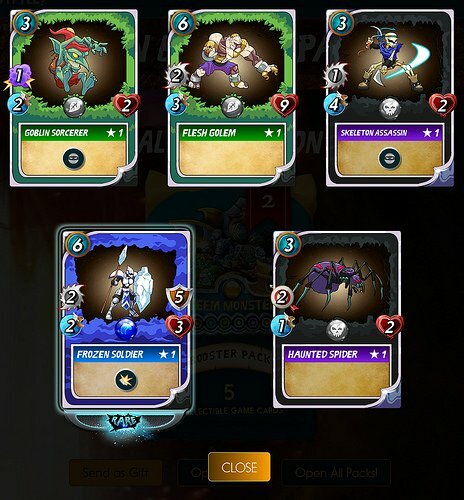 Keen to win some free cards. I have been wanting to buy some buy my third world currency is a bit limited. I'm hoping for more votes on my regular articles but not getting many views yet, if you know any tips to get more readers and upvotes. Then I can invest the Steem. I dream of earning even a few dollars per article. It becomes a worthwhile amount in my humble African homeland. Best post I did read. That guys deserves all the love! Thanks for your efforts Bernie! hey there, byn has already been entered. Is there another post you would like to share? Great promotion Post @bernie and the community is happy, thank you. In terms of cuteness, this is the best post you will see this week: Puppies!!! think it is one of the best i've seen so far for today! @berniesanders I am looking to buy 100 - 200 alpha packs. If you want to sell some of them let me know. Or you could win something by sharing the love. I do like the way that the user is thinking long term and much more. Thank you for giving so many people a chance. If you do a second round I already have another steemian to feel proud of having in this awesome platform. Cheers! Oh, I'm sorry. Thank you again either way. It's a hard work and what you guys are doing takes a lot of effort. Cheers. OMG lol, can you believe I didn't notice that? Now I'm very sorry! Anyways I'm glad you did enjoy the post although it was past due. I thought there was something wrong with it, because I always enjoy his posts. Again, thank you for your time and reply!